Went in for a Morning Show of ant-man and the wasp… the theatre was HALF-empty. EXACTLY half. Perfectly balanced. It got me thinking… was it thanos’s snap or the world cup? Either theory is valid me thinks…. But I am going with thanos snapped half of movie audiences into oblivion… and we didn’t EVEN noticed. Oh gosh… what a rabbit hole! Maybe that’s why RACE 3 made half the money it was supposed to make… I mean Baaghi 2 was a huge hit right? This leads me to think… maybe THAT’S why Solo-A Star wars story made so little! Damn… mystery solved. With that let me get to the review of this film. Ant-man was last seen in Captain America – civil war. He was missing in infinity war and this movie does explain why. Paul Rudd is such a good choice for this MCU version of Scott Lang. He is funny, mostly goofy but sometimes he manages to do well, action wise that is... I so want to see an Ant-man and Spider-man team up film. Two goofballs with insect names and advanced tech, one by tony the other by hank pym. Speaking of fathers, we come to Hank’s daughter. Hope. Played by Evangeline Lily, she is also much better in this film simply by the virtue of NOT having that god awful wig she had on in the first film. She looked horrendous in that film and here she is the co-lead and looks much more natural. She plays the Wasp effortlessly and has no struggle with using her suit and powers. She is not like Scott Lang in that regard. She is well trained and it comes across on screen. The rest of the cast who repise their role from the frist film, especially Micheal Pena and the two other friends, are in this film, but their role is severely reduced. But… that is also not a bad thing. They got the time they needed and didn’t overstay their welcome. Hank Pym’s daughter has slightly more to do in this part as well and she is rather good as the very cute child who is the main reason for her father to stay out of trouble. The plot of this movie is rather simplistic. It deals with one single topic which is very personal to Hank Pym and his daughter and the whole movie revolves around that. But unlike Gaurdians 2 OR Iron man 2, this movie doesn’t fall down the sequel hole. Those plot points FROM both those previous MCU films are recycled in this one, it doesn’t feel stale or boring. New characters emerge, challenges ensue, fights happen and it all leads towards one big and satisfying climax. 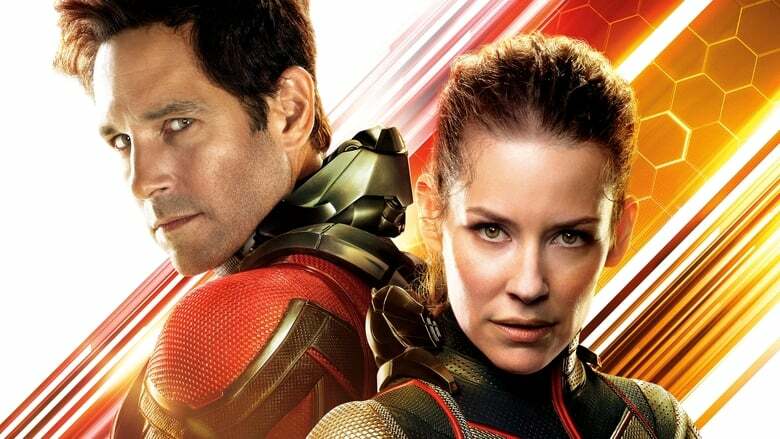 The second half of this film is actually much better than the previous ant-man film which sort of felt had let off too much steam and had lost its momentum. But this one charges through and doesn’t slacken the pace at all till the ending scene. But if you expect a world is peril plot. This movie is not it. The world is already enough in peril by Thanos, so this is a much more smaller and personal story. When Edgar Wright left the first film’s directorial position, many fans had lamented that fact. But peyton reed has found the ant-man vibe rather well. Mixing comedy with action is a marvel main stay and this movie has loads of that. A torture scene is turned into a comedy exposition by micheal pena. An action is made hilarious by how murderous seagulls keep eating ant-man’s ants… the director of this film is not as famous as Iron man’s Jon Favreau OR guardian’s James Gunn, but he has consistently delivered two good movies which both the other two famous director’s couldn’t achieve. So in that regard Peyton reed, while under rated has managed something which marvel RARELY does. Make a GOOD part 2 of a successful Origin film. Iron man 2, SUCKED. I don’t hate it, but its very subpar compared to the first Iron man. Guardians 2 also didn’t come out too well. Thor 2 was a flaming mess. Only Captain America 2 was good, but that was with a change of directors, setting and plot. So enjoy ant-man. The only marvel sequel, which manages to not go too big, doesn’t underwhelm and comes across as a genuinely entertaining and good film. MCU has finally learned to re-use the best parts of the music from the previous film. Music is what links the movies together apart from story and plot. The music in this one re-uses the main ant-man theme and for the finale that rocked. This is a solid 7/10 film. Slightly better than the previous part but doesn’t try to overachieve and spoil the tone of the film. P.S : there are TWO end credits scene. The first one is VITAL to the film and is actually the film’s real end scene. The one AFTER the credits is skip-able if you are in a hurry. P.P.S : Here is a list of dads who died ON-Screen in the MCU.